In Bottle: That “Wow” was to denote how very good this was. Green aldehydes and florals were my first impression. Applied: I could smell the florals in this upon application. Flambeau opens with a green aldehyde, flowing into a beautiful jasmine mid-note that’s joined by a full-bodied and tempered rose. There are florals in here that I can’t pick out, but I don’t mind very much because it all blends together beautifully. 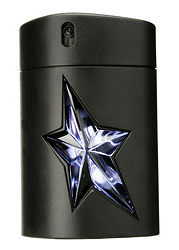 Flambeau ages into a gorgeous lush mid-stage that exudes white flowers with slight hints of animalic musk. Nothing too wild on the animal side. It’s only a touch to give the fragrance even more complexity. As it dries down, I get less of the rose and more vetiver with a little hint of amber and bit of woodsiness that’s been soften with time. Extra: Fabergé’s Flambeau was a little known fragrance initially released in 1955. It has since been discontinued and is quite a rarity. 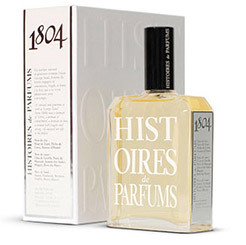 It’s really a shame since it’s such a beautiful scent from a long gone era of perfume. Fabergé had other vintage classics as well, including Woodhue, Tigress, Aphrodisia. 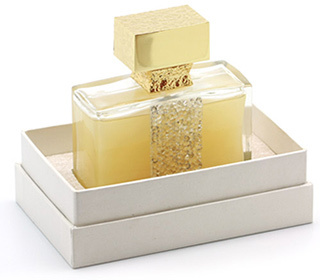 Design: I haven’t held or seen an actual bottle of Flambeau, but going by the photos, the parfum vial is a beautiful elegant glass piece encased in a golden shell with lovely markings on it. Very reminiscent of luxury from the 50s. 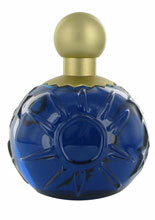 Notes: Aldehydes, jasmine, rose, lily of the valley, iris, ambergris, vetiver, sandalwood, musk. I’m only guessing with those notes. Anyway, if you want to score yourself a bottle of Flambeau, Deb from LuvParfum might have one in stock along with some of Fabergé’s other classics. This includes a gorgeous Woodhue perfume whistle. If not, you might get lucky on eBay. Reviewed in This Post: Flambeau, ~1960, ???. I don’t know why I thought I had already done a review for Cashmere Mist. Perhaps it’s because of how used to it I am. Everywhere I went as a child, I smelled this perfume on somebody. It’s popularity has ingrained itself into my mind and made it something of a given that I should have talked about it already. 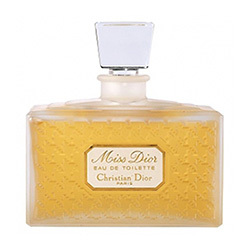 In Bottle: Bergamot and very soft floral woods. Applied: Cashmere Mist opens with a little nip of citrus that serves to drive the fragrance into its dominant stage. The stage is that of a very soft floral tinged wood with a light dusting of powder that envelops the wearer in a warm blanket. A lot of fragrances remind me of my mother because, when I was growing up, her fragrance collection helped shape my perfume preferences today. Cashmere Mist is one of those perfumes that reminds me a lot of her because she had some of it at one point. I do have to admit that I’m not a big fan of this one, despite the good memories associated with it. It’s a bit dull, sadly. Otherwise, it’s warm and soft and nurturing. It’s nice and gentle and smells like memories of the early 90s. It’s also clean, like soap, powder and laundry if you were interested in a clean scent. I just think it’s a bit generic smelling and I’m entirely willing to admit that I might just be bored of smelling it because I’ve gotten so used to it since its release. Extra: Cashmere Mist has been out and available since 1994. It remains easily accessible and can be purchased at a variety of department stores and online. Design: Some people love this people and some don’t. I’m one of the people who love it, though I have to admit my bias because I grew up seeing this bottle and smelling Cashmere Mist so I’m a little bit attached to it. It is, however, a somewhat dated design in that it reflects an earlier aesthetic. There are two types of bottles for Cashmere Mist, a frosted glass bottle (pictured in this post) and a clear glass bottle. 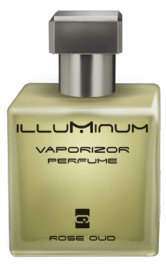 Notes: Bergamot, lily of the valley, jasmine, suede, cashmere wood, sandalwood, musk, vanilla. The version I reviewed should be noted as there has been some differences noticed by the fragrance community between the EDT that I’m reviewing and the EDP in the clear glass bottle that’s being widely circulated. Reviewed in This Post: Cashmere Mist, 1998, Eau de Toilette.